VALLIHAUTA returns with their second full-length album entitled “II”. Their mix of traditional doom and punk is now further refined and given birth in form of sludgy bi-polar aggression. With various edges added to the mix, deeper, darker and heavier in spirit, this moat is ready to devour you. Vallihauta remain true to their trio form and live aesthetic. To praise authenticity II was recorded fully live by Tom Brooke at Tonehaven Recording Studios. This album is manifestation of group’s natural way of handling many cast iron styles. Outcome represents rough elegance, delivered from the Arctic Circle, where nights are either endless or non-existing, extreme as variations in their self-expression. After years of waiting, they’re finally here. From the industrial landscapes of Pori. From the moisture of the dewy meadows by the banks of the river Kokemäenjoki. 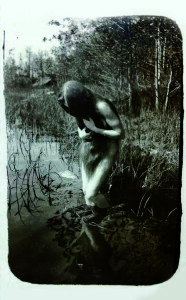 From the thick stench of the largest delta in the Nordic countries and the mud of the blackest polluted riverbed. There in the cold depths they’ve lived as parasites, feeding from the bigger fish. Growing and ripening, little by little, slowly but surely, making their way towards the sea. 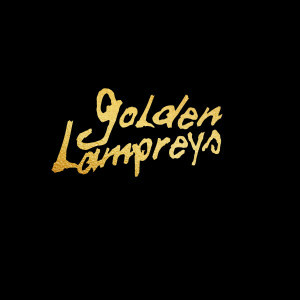 If you’ve ever wondered what a band with Alan Vega, Mika Vainio and Tracy Pew might sound like, you’ve felt the touch of Golden Lampreys. Known from previous work under Sink abstract, late contributions with visual arts collective IC98 and forward thinking techno outfit OSO among others, the dualistic force behind Golden Lampreys, Aarno Kankaanpää and Henrik Wetterstrand, have become a staple in European freeform art scene within the last decade. 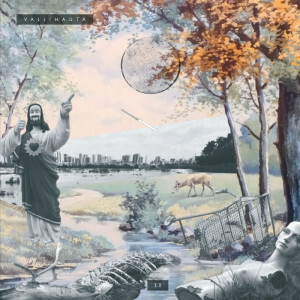 Group’s debut EP “Just Because You Did It Doesn’t Mean You’re Guilty” offers four tracks in gold finished detailing, pressing strictly limited to 200 pieces. So consider this as a once in a lifetime opportunity to be there from the very beginning. The duo has performed their debut gigs in France this summer and will return on the road to celebrate the release via Future Lunch. Golden Lampreys are here. Golden Lampreys are hungry. First they eat your ears – then your soul. Drop some acid and grab a bottle of liquor and you might end up experiencing the electronic primitive of your life – or permanent psychosis. Oh lord! Musti is set to release it’s second work originating from sessions surrounding summer 2016. Releasing first tape ‘|||’ (three lines) two years ago, recorded and based on three symmetric field trips in 2013–2015, there’s new ground sorted on this seminal output entitled ’2′, limited to 68pcs. Composed in two sessions the main characteristic for Musti’s second work can best be described bipolar: yin and yang, the sun and the moon, sweet & sour, two eyes, a double-edged dagger. 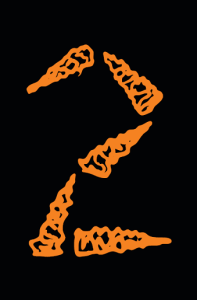 Entering their Central Finland suite in May 2016, first session for ‘2’ was filled with clarified emotions. Narratively ‘Minotaur II’, a continuation from first tape’s ‘Minotaur’, gives second birth to this entity of ancient times. ‘Puhelu’ (Phone call) further thickens the plot. Second session held in August turned out fundamentally different with medicated asleep at the wheel experience, intoxicated slumber and broken wires crackling on high voltage. As a counterpart to calm first session ‘Kristallisaari’ (Crystal island) and ‘Vesi herahtaa kielon päälle’ (Water salivates on top of a lily of the valley) both give the tape B-side a forbidden tension channeling the entire piece to full cohesion. As a volume in its main artist series ‘2’ is the current outing in progress of pages yet to be revealed. Bipolar is the final step in realization of dualistic-monotheistic primal matter. A mono in stereo. A god within gods. And the infinite shape in unity of one within three. Celebrating the 10th annual of Musti group, received information suggests there’s more to follow this upcoming fall. The group will make its only public performance this year on Midsummer’s eve, June 22th at Tampere Underground Juhannus 2018, Autotalli stage. Don’t let the title fool you. Heikki Hautala sings about peace and harmony (Rauha ja harmonia) as a utopian target that everyone tries to reach but no one will. Known for his revered punk ensemble Sokea Piste (Blind Spot) and an acoustic solo effort Pyövelin vaatteet (Executioner’s Clothes), the instantly recognizable singer-songwriter finds a new kind of vehicle to manifest his apocalyptic lines. This time Hautala is backed by a solid rock lineup Hyvät veljet, led by Hautala’s inciting, soaring electric guitar motifs. Country, folk and blues elements fuse their way to the distinctive sound. The atmosphere is both menacing and comforting, speed varying from mid-tempo to very very slow. Fragile beauty of the vocal melodies meets the more grandiloquent beauty of the arrangements. The music finds its path straight into the listener’s soul. High poetry and deep analysis unite when Heikki Hautala examines the state of human individual and the whole humankind with surgical accuracy. The contrast between the majestic music and dystopic lyrics reaches its high point in the catharsis of the final song Voimat (Forces). 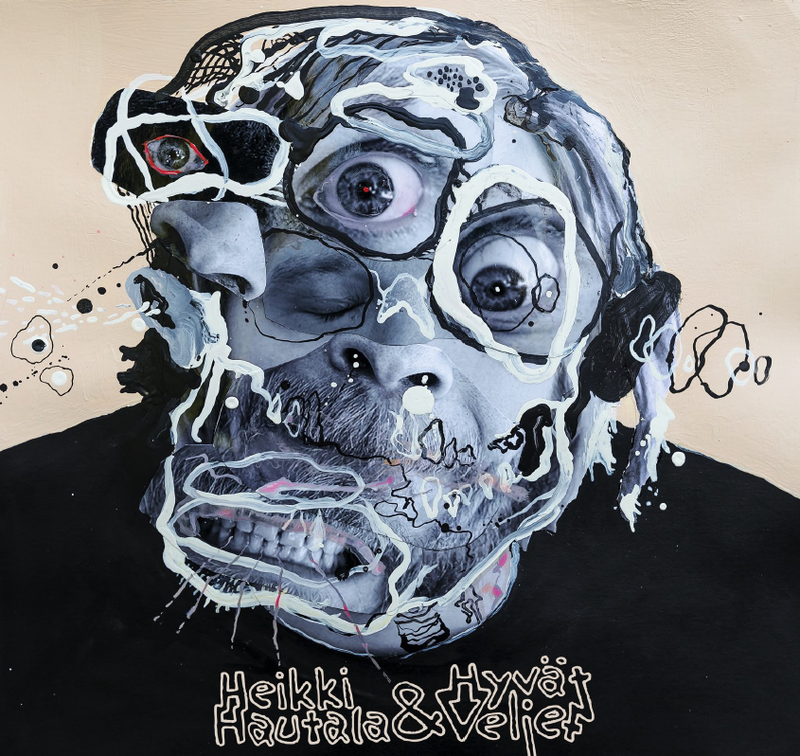 Heikki Hautala is one of the most genuine voices of the 21st century. Rauha ja harmonia by Heikki Hautala & Hyvät veljet will be released on Future Lunch and Full Contact Records on Friday 19th of January. A Tampere-based duo Neiet begun their journey from a forgotten wooden cabin on a hill and ended up in a cold apartment house, behind locked doors, underground. A place where from the ashes of gone projects they rise. Neiet (Maidens in Finnish countryside dialect) do not define strict goals or ways. Instead they concentrate on producing sounds with any equipment available – doing, not planning, empowered by chance. In the end the form of their self-expression is molded by realism allowing the authenticity. Songs gathered on the tape are surrounded by guests chosen due intuitive encounters. Award winning Janne “Hzzzt” Hast on production and Reverend Bizarre -related Sami Hynninen performing guest vocals on “Unilintu”. Members of Neiet have also worked with Dxxxa D and Risto, whose Risto Ylihärsilä executed the mastering. This release is full of supernatural, possessed atmosphere. Web woven by pulses of cold machines and multilayered human voices. After side A you will ask yourself do you dare to continue and eventually end up stepping deeper. Self-titled cassette by Neiet will be released on Future Lunch on Friday 7th of July.